Whittaker, R.J., Fernández-Palacios, J.M., Matthews, T.J., Borregaard, M.K. and Triantis, K.A. (2017) Island biogeography: Taking the long view of nature's laboratories. Science. View: Abstract | Reprint | Full text. Rob Whittaker was appointed a Full Professor (part time) in the Centre for Macroecology, Evolution and Climate at the University of Copenhagen for a fixed term from June 2015 to December 2019. 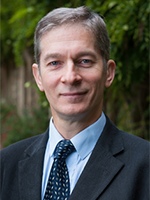 He was admitted as a Fellow of the Society of Biology in September 2011. Rob was elected a foreign member of the Academia das Ciências de Lisboa in July 2011. Species-area relationship: new challenges for an old pattern. 2007-2008: European Commission, 6th Framework Programme on Research, Technological Development and Demonstration (Marie Curie Actions, Intra-European Fellowships held by Kostas A. Triantis). Native and invasive species on islands: the functionality perspective. Fundação da Ciência e Tecnologia, funding 2008-2010; partner on project led by Dr Paulo Borges of the Azorean Biodiversity Group, University of the Azores. Project FCT- PTDC/BIA-BEC/100182/2008; partner on project led by Dr Paulo Borges of the Azorean Biodiversity Group, University of the Azores; (2010-2013). PTDC/BIA-BIC/119255/2010 Budget: 99 000 Euros; started July 2012. Please also see: The long-term dynamics of the Macaronesian islands and their biota. Ref: 003/2008; Spanish Ministry of the Environment, and Rural and Marine Environs, 2008-2009; PI: J.M. Fernández-Palacios, participants: K.J. Willis, R.J. Whittaker, and L. de Nascimento. Ref: CGL2009-10939; Spanish Ministry of Science and Innovation, 2010-2012); PI: J.M. Fernández-Palacios, participants: K.J. Willis, R.J. Whittaker, R. Otto, and L. de Nascimento. Ref: SolSubC200801000053; Canarian Government, 2009-2012; PI: J.M. Fernández-Palacios, participants: K.J. Willis, R.J. Whittaker, S. Nogué, and L. de Nascimento. Understanding biodiversity dynamics in tropical and subtropical island in an aid to science based conservation action. Member of steering group for project provisionally selected for funding under the Netbiome 2010 call. PI: Brent Emerson. Rob teaches the 'Ecology of the Biosphere' module of the 'Earth System Processes' course for the Preliminary Examination. He also teaches on the Option course 'Biogeography, Biodiversity and Conservation' for the Final Honour School. Rob teaches 'Conservation Biogeography', 'Strategic Conservation Planning' and takes the Tenerife Field Course for the MSc in Biodiversity Conservation and Management. Rob also acts as college adviser to around four students a year on the MSc in BCM within St Edmund Hall. Lomolino, M.V., Riddle, B.R., and Whittaker, R.J. (2017) Biogeography, 5th edn. Sinauer, Sunderland, MA. Ladle, R.J. and Whittaker, R.J. (eds.) (2011) Conservation Biogeography. Wiley-Blackwell, Oxford. pp. 320. ISBN: 978-1-4443-3503-3. Lomolino, M.V., Riddle, B.R., Whittaker, R.J. and Brown, J.H. 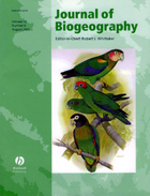 (2010) Biogeography, 4th edition. Sinauer, Sunderland, MA, USA. pp. 764. ISBN: 978-0-87893-494-2. Whittaker, R.J. and Fernández-Palacios, J.M. (2007) Island Biogeography: ecology, evolution and conservation, 2nd edn. Oxford University Press, Oxford. pp. 416. ISBN: 978-0-19-856612-0. Matthews, J.A., Bridges, E.M., Caseldine, C.J., Luckman, A.J., Owen, G., Perry, A.H., Shakesby, R.A., Walsh, R.P.D., Whittaker, R.J. and Willis, K.J. (eds.) (2001) The Encyclopaedic Dictionary of Environmental Change. London: Arnold xiii. pp. 690. Whittaker, R.J. (ed.) (1998) Island Biogeography: ecology, evolution and conservation. Oxford University Press, Oxford. pp. 285. Borda-de-Água, L., Whittaker, R.J., Cardoso, P., Rigal, F., Santos, A.M.C., Amorim, I.R., Parmakelis, A., Triantis, K.A., Pereira, H.M. and Borges, P.A.V. (2017) Dispersal ability determines the scaling properties of species abundance distributions: a case study using arthropods from the Azores. Scientific Reports, 7. Borregaard, M.K., Amorim, I.R., Borges, P.A.V., Cabral, J.S., Fernández-Palacios, J.M., Field, R., Heaney, L.R., Kreft, H., Matthews, T.J., Olesen, J.M., Price, J., Rigal, F., Steinbauer, M.J., Triantis, K.A., Valente, L., Weigelt, P. and Whittaker, R.J. (2017) Oceanic island biogeography through the lens of the general dynamic model: assessment and prospect. Biological Reviews, 92(2): 830-853. Matthews, T.J. Borges, P.A.V., de Azevedo, E.B. and Whittaker, R.J. (2017) A biogeographical perspective on species abundance distributions: recent advances and opportunities for future research. Journal of Biogeography, 44: 1705-1710. Matthews, T.J. Cottee-Jones, H.E.W., Bregman, T.P. and Whittaker, R.J. (2017) Assessing the relative importance of isolated Ficus trees to insectivorous birds in an Indian human-modified tropical landscape. Biodiversity and Conservation. Nogué, S., de Nascimento, L., Froyd, C.A., Wilmshurst, J.M. de Boer, E.J., Coffey, E.E.D., Whittaker, R.J., Fernández-Palacios, J.M. and Willis, K.J. (2017) Island biodiversity conservation needs palaeoecology. Nature Ecology and Evolution, 1. Patiño, J., Whittaker, R.J., Borges, P.A.V., Fernández-Palacios, J.M., Ah-Peng, C., Araújo, M.B., Ávila, S.P., Cardoso, P., Cornuault, J., de Boer, E.J., de Nascimento, L., Gil, A., González-Castro, A., Gruner, D.S., Heleno, R., Hortal, J., Ilera, J.C., Kaiser-Bunbury, C., Matthews, T.J., Papadopoulou, A., Pettorelli, N., Price, J.P., Santos, A.M.C., Steinbauer, M.J., Triantis, K.A.,Valente, L., Vargas, P., Weigelt, P. and Emerson, B.C. (2017) A roadmap for island biology: 50 fundamental questions after 50 years of The Theory of Island Biogeography. Journal of Biogeography, 44(5): 963-983. Triantis, K.A., Whittaker, R.J., Fernandez-Palacios, J.M. and Geist, D.J. (2017) Oceanic archipelagos: a perspective on the geodynamics and biogeography of the World’s smallest biotic provinces. Frontiers of Biogeography, 8(2). Whittaker, R.J., Fernández-Palacios, J.M., Matthews, T.J., Borregaard, M.K. and Triantis, K.A. (2017) Island biogeography: Taking the long view of nature's laboratories. Science, 357(6354). Borges, P.A.V., Gaspar, C., Crespo, L.C.F., Rigal, F., Cardoso, P., Pereira, F., Rego, C., Amorim, I.R., Melo, C., Aguiar, C., Andre, G., Mendonca, E.P., Ribeiro, S., Hortal, J., Santos, A.M.C., Barcelos, L., Enghoff, H., Mahnert, V., Pita, M.T., Ribes, J., Baz, A., Sousa, A.B., Vieira, V., Wunderlich, J., Parmakelis, A., Whittaker, R.J., Quartau, J.A., Serrano, A.R.M. and Triantis, K.A. (2016) New records and detailed distribution and abundance of selected arthropod species collected between 1999 and 2011 in Azorean native forests. Biodiversity Data Journal, 4. e10948. Borregaard, M.K., Matthews, T.J. and Whittaker, R.J. (2016) The general dynamic model: towards a unified theory of island biogeography? Global Ecology and Biogeography, 25(7): 805-816. Cottee-Jones, H.E.W., Bajpai, O., Chaudhary. L.B. and Whittaker, R.J. (2016) The Importance of Ficus (Moraceae) Trees for Tropical Forest Restoration. Biotropica, 48(3): 413-419. Cottee-Jones, H.E.W., Matthews, T.J. and Whittaker, R.J. (2016) The movement shortfall in bird conservation: accounting for nomadic, dispersive and irruptive species. Animal Conservation, 19(3): 227-234.
de Nascimento, L., Nogué, S., Criado, C., Ravazzi, C., Whittaker, R.J., Willis, K.J. and Fernández-Palacios, J.M. (2016) Reconstructing Holocene vegetation on the island of Gran Canaria before and after human colonization. The Holocene, 26(1): 113-125. Fernández-Palacios, J.M., Rijsdijk, K.F., Norder, S.J., Otto, R., de Nascimento, L., Fernández-Lugo, S., Tjørve, E. and Whittaker, R.J. (2016) Towards a glacial-sensitive model of island biogeography. Global Ecology and Biogeography, 25(7): 817-830. Matthews, T.J., Guilhaumon, F., Triantis, K.A., Borregaard, M.K. and Whittaker, R.J. (2016) On the form of species–area relationships in habitat islands and true islands. Global Ecology and Biogeography, 25(7): 847-858. Matthews, T.J., Triantis, K.A., Rigal, F., Borregaard, M.K., Guilhaumon, F., Whittaker, R.J. (2016) Island species–area relationships and species accumulation curves are not equivalent: an analysis of habitat island datasets. Global Ecology and Biogeography, 25(5): 607-618. Otto, R., Whittaker, R.J., von Gaisberg, M., Stierstorfer, C., Naranjo-Cigala, A., Steinbauer, M., Krabbe Borregaard, M., Ramón Arévalo, J., Garzón-Machado, V., Del Arco, M. and Fernández-Palacios, J.M. (2016) Transferring and implementing the general dynamic model of oceanic island biogeography at the scale of island fragments: the role of geological age and topography in plant diversification in the Canaries. Journal of Biogeography, 43(5): 911-922. Trakimas, G., Whittaker, R.J. and Borregaard, M.K. (2016) Do biological traits drive geographical patterns in European amphibians? Global Ecology and Biogeography, 25(10): 1228-1238. Cottee-Jones, H.E.W. and Whittaker, R.J. (2015) Felling Ficus: The cultural status of fig trees in a rural Assamese community, India. Ethnobiology Letters, 6(1): 89-98. Cottee-Jones, H.E.W., Bajpai, O., Chaudhary, L.B. and Whittaker, R.J. (2015) Isolated Ficus trees deliver dual conservation and development benefits in a rural landscape. Ambio, 44: 678-684. Cottee-Jones, H.E.W., Matthews, T.J., Bregman, T.P., Barua, M. Tamuly, J. and Whittaker, R.J. (2015) Are protected areas required to maintain functional diversity in human-modified landscapes? PLoS ONE, 10(5). e0123952. de Nascimento, L., Nogué, S., Fernández-Lugo, S., Méndez, J., Otto, R., Whittaker, R.J., Willis, K.J. and Fernández-Palacios, J.M. (2015) Modern pollen rain in Canary Island ecosystems and its implications for the interpretation of fossil records. Review of Palaeobotany and Palynology, 214: 27-39. Matthews, T.J. and Whittaker, R.J. (2015) On the species abundance distribution in applied ecology and biodiversity management. Journal of Applied Ecology, 52(2): 443-454. Matthews, T.J., Cottee-Jones, H.E.W., Whittaker, R.J. (2015) Quantifying and interpreting nestedness in habitat islands: a synthetic analysis of multiple datasets. Diversity and Distributions, 21(4): 392-404. Matthews, T.J., Sheard, C., Cottee-Jones, H.E.W., Bregman, T.P., Tobias, J.A. and Whittaker, R.J. (2015) Ecological traits reveal functional nestedness of bird communities in habitat islands: a global survey. Oikos, 124: 817-826. Parmakelis, A., Rigal, F., Mourikis, T., Balanika, K., Terzopoulou, S., Rego, C., Amorim, I.R., Crespo, L., Pereira, F., Triantis, K.A., Whittaker, R.J. and Borges, P.A.V. (2015) Comparative phylogeography of endemic Azorean arthropods. BMC Evolutionary Biology, 15(250). Terzopoulou, S., Rigal, F., Whittaker, R.J., Borges, P.A.V. and Triantis, K.A. (2015) Drivers of extinction: the case of Azorean beetles. Biology Letters, 11(6). Warren, B.H., Simberloff, D., Ricklefs, R.E., Aguilée, R., Condamine, F.L., Gravel, D., Morlon, H., Mouquet, N., Rosindell, J., Casquet, J., Conti, E., Cornuault, J., Fernández-Palacios, J.M., Hengl, T., Norder, S.J., Rijsdijk, K.F., Sanmartín, I., Strasberg, D., Triantis, K.A., Valente, L.M., Whittaker, R.J., Gillespie, R.G., Emerson, B.C. and Thébaud, C. (2015) Islands as model systems in ecology and evolution: prospects fifty years after MacArthur-Wilson. Ecology Letters, 18(2): 200-217. Watson, J.E.M., Whittaker, R.J. and Dawson, T.P. (2015) The importance of littoral forest remnants for indigenous bird conservation in southeastern Madagascar. Biodiversity and Conservation, 14(3): 523-545. Whittaker, R.J. (2015) Farewell Editorial. Journal of Biogeography, 42(12): 2253-2254. Borregaard, M.K., Rahbek, C., Fjeldså, J., Parra, J., Whittaker, R.J. and Graham, C.H. (2014) Node-based analysis of species distributions. Methods in Ecology and Evolution, 5(11): 1225-1235. Matthews, T., Borregaard, M.K., Ugland, K.I., Borges, P.A.V., Rigal, F., Cardoso, P. and Whittaker, R.J. (2014) The gambin model provides a superior fit to species abundance distributions with a single free parameter: evidence, implementation and interpretation. Ecography, 37(10): 1002-1011. Matthews, T.J. and Whittaker, R.J. (2014) Fitting and comparing competing models of the species abundance distribution: assessment and prospect. Frontiers of Biogeography, 6: 67-82. Matthews, T.J. and Whittaker, R.J. (2014) Neutral theory and the species abundance distribution: recent developments and prospects for unifying niche and neutral perspectives. Ecology and Evolution, 4(11): 2263-2277. Matthews, T.J., Borges, P.A. and Whittaker, R.J. (2014) Multimodal species abundance distributions: a deconstruction approach reveals the processes behind the pattern. Oikos, 123(5): 533-544. Matthews, T.J., Cottee-Jones, H.E.W. and Whittaker, R.J. (2014) Habitat fragmentation and the species-area relationship: a focus on total species richness obscures the impact of habitat loss on habitat specialists. Diversity and Distributions, 20(10): 1136-1146. Matthews, T.J., Steinbauer, M.J., Tzirkalli, E., Triantis, K.A. and Whittaker, R.J. (2014) Thresholds and the species–area relationship: a synthetic analysis of habitat island datasets. Journal of Biogeography, 41(5): 1018-1028. Ochoa-Ochoa, L.M. and Whittaker, R.J. (2014) Spatial and temporal variation in amphibian metacommunity structure in Chiapas, Mexico. Journal of Tropical Ecology, 30(6): 537-549. Whittaker, R.J. (2014) Editorial: Developments in biogeography. Journal of Biogeography, 41(1): 1-5. Whittaker, R.J. and Matthews, T.J. (2014) The varied form of species–area relationships. Journal of Biogeography, 41(2): 209-210. Whittaker, R.J., Rigal, F., Borges, P.A.V., Cardoso, P., Terzopoulou, S., Cassanoves, F., Pla, L., Guilhaumon, F., Ladle, R.J. and Triantis, K.A. (2014) Functional biogeography of oceanic islands and the scaling of functional diversity in the Azores. Proceedings of the National Academy of Sciences of the United States of America, 111: 13709-13714. Cameron, R.A.D., Triantis, K.A., Parent, C.E., Guilhaumon, F., Alonso, M.R., Ibáñez, M., de Frias Martins, A.M., Ladle, R.J. and Whittaker, R.J. (2013) Snails on oceanic islands: testing the general dynamic model of oceanic island biogeography using linear mixed effect models. Journal of Biogeography, 40(1): 117-130. Holt, B.G., Lessard, J-P., Borregaard, M.K., Fritz, S.A., Araújo, M.B., Dimitrov, D., Fabre, P-H., Graham, C.H., Graves, G.R., Jønsson, K.A., Nogués-Bravo, D., Wang, Z., Whittaker, R.J., Fjeldså, J. and Rahbek, C. (2013) An update of Wallace's Zoogeographic Regions of the World. Science, 339(6115): 74-77. (Designated as a Highly cited paper by ESI/WoK, June 2014). Holt, B.G., Lessard, J-P., Borregaard, M.K., Fritz, S.A., Araújo, M.B., Dimitrov, D., Fabre, P-H., Graham, C.H., Graves, G.R., Jønsson, K.A., Nogués-Bravo, D., Wang, Z., Whittaker, R.J., Fjeldså, J. and Rahbek, C. (2013) Response to comment on "An update of Wallace's zoogeographic regions of the world". Science, 341: 343. Nogué, S., de Nascimento, L. Fernández-Palacios, J.M., Whittaker, R.J. and Willis, K.J. (2013) The ancient relict forests of La Gomera, Canary Islands and their sensitivity to human and climate change. Journal of Ecology, 101(2): 368-377. Ochoa-Ochoa, L.M., Whittaker, R.J. and Ladle, R.J. (2013) The demise of the golden toad and the creation of a climate change icon species. Conservation and Society, 11(3): 291-319. Parmakelis, A., Balanika, K., Terzopoulou, S., Rigal, F., Beasley, R.R., Jones, K.L., Lance, S.L., Whittaker, R.J., Triantis, K.A. and Borges, P.A.V. (2013) Development of 28 polymorphic microsatellite markers for the endemic Azorean spider Sancus acoreensis (Araneae, Tetragnathidae). Conservation Genetics Resources, 5(4): 1133-1134. Patiño, J., Guilhaumon, F., Whittaker, R.J., Triantis, K.A., Gradstein, S.R., Hedenäs, L., González-Mancebo, J.M. and Vanderpoorten, A. (2013) Accounting for data heterogeneity in patterns of biodiversity: an application of Linear Mixed Effect Models to the oceanic island biogeography of spore-producing plants. Ecography, 36(8): 904-913. Rigal, F., Whittaker, R.J., Triantis, K.A. and Borges, P.A.V. (2013) Integration of non-indigenous species within the interspecific abundance–occupancy relationship. Acta Oecologica, 48: 69-75. Whittaker, R.J., Riddle, B.R., Hawkins, B.A. and Ladle, R.J. (2013) Editorial: The geographical distribution of life and the problem of regionalization: 100 years after Alfred Russel Wallace. Journal of Biogeography, 40(12): 2209-2214. Cottee-Jones, H.E.W. and Whittaker, R.J. (2012) The keystone species concept: a critical appraisal. Frontiers of Biogeography, 4(3): 117-127. Ochoa-Ochoa, L.M., Rodríguez, P., Mora, F., Flores-Villela, O. and Whittaker, R.J. (2012) Climate change and amphibian diversity patterns in Mexico. Biological Conservation, 150(1): 94-102. Triantis, K.A., Guilhaumon, F. and Whittaker, R.J. (2012) The island species–area relationship: biology and statistics. Journal of Biogeography, 39(2): 215-231. (Designated as a Highly cited paper by ESI/WoK, June 2014). Whittaker, R.J. and Triantis, K.A. (2012) The species-area relationship: an exploration of that 'most general, yet protean pattern'. Journal of Biogeography, 39(4): 623-626. Fernández-Palacios, J.M., de Nascimento, L., Otto, R., Delgado, J.D., García-del-Rey, E. Arévalo, J.R. and Whittaker, R.J. (2011) A reconstruction of Palaeo-Macaronesia, with particular reference to the long-term biogeography of the Atlantic island laurel forests. Journal of Biogeography, 38(2): 226-246. Meijer, S.S., Whittaker, R.J. and Borges, P.A.V. (2011) The effects of land-use change on arthropod richness and abundance on Santa Maria Island (Azores): unmanaged plantations favour endemic beetles. Journal of Insect Conservation, 15(4): 505-522. Whittaker, R.J. and Kerr, J.T. (2011) In search of general models in evolutionary time and space. Journal of Biogeography, 38(11): 2041-2042. Frangou, A., Ladle, R.J., Malhado, A.C.M. and Whittaker, R.J. (2010) Wildlife in a warming world. A World of Science, 8(1): 2-9. Richardson, D.M. and Whittaker, R.J. (2010) Conservation biogeography - foundations, concepts and challenges. Diversity and Distributions, 16(3): 313-320. Schilthuizen, M., Raes, N., Linder, P., Triantis, K., Fernández-Palacios, J.M. and Whittaker, R.J. (2010) Special Issue: Evolutionary Islands: 150 Years After Darwin. Journal of Biogeography, 37(6): 983. Shilton, L.A. and Whittaker, R.J. (2010) The role of pteropodid bats (Megachiroptera) in re-establishing tropical forests on Krakatau. : 176-215. Triantis, K.A., Borges, P.A.V., Ladle, R.J., Hortal, J., Cardoso, P., Gaspar, C., Dinis, F., Mendonça, E., Silveira, L.M.A., Gabriel, R., Melo, C., Santos, A.M.C., Amorim, I.R., Ribeiro, S., Serrano, A.R.M., Quartau, J.A. and Whittaker, R.J. (2010) Extinction debt on oceanic islands. Ecography, 33(2): 285-294. Whittaker, R.J. (2010) From the society: The progress and prospects of the International Biogeography Society. Frontiers of Biogeography, 2(3). Ladle, R.J., Jepson, P. and Whittaker, R.J. (2009) La lucha por la legitimidad en el cambio climático. Infoamérica, 1: 153-163. Riddle, R.B. and Whittaker, R.J. (2009) The first humans, the second orangutan and the third chimpanzee. Journal of Biogeography, 36(10): 1821-1822. Whittaker, R.J. (2009) Darwin and biogeography. Journal of Biogeography, 36(9): 1009-1010. Whittaker, R.J. (2009) Krakatau. Encyclopedia of Islands: 517-520. Whittaker, R.J. and Svenning, J.C. (2009) Conservation biogeography: Integrating biogeography and conservation science in a changing world. Frontiers of Biogeography, 1(2). Araújo, M.B., Nogués-Bravo, D., Reginster, I., Rounsevell, M. and Whittaker, R.J. (2008) Exposure of European biodiversity to changes in human-induced pressures. Environmental Science and Policy, 11(1): 38-45. Bhagwat, S.A., Willis, K.J., Birks, H.J.B. and Whittaker, R.J. (2008) Agroforestry: a refuge for tropical biodiversity? Trends in Ecology and Evolution, 23(5): 261-267.
de Nascimento, L., Willis, K.J., Fernández-Palacios, J.M., Criado, C. and Whittaker, R.J. (2008) The long-term ecology of the lost forests of La Laguna, Tenerife (Canary Islands). Journal of Biogeography, 36(3): 499-514. Fernández-Palacios, J.M. and Whittaker, R.J. (2008) The Canaries: an important biogeographical meeting place. Journal of Biogeography, 35(3): 379-387. Triantis, K.A., Mylonas, M. and Whittaker, R.J. (2008) Evolutionary species-area curves as revealed by single-island endemics: insights for the inter-provincial species-area relationship. Ecography, 31(3): 401-407. Triantis, K.A., Nogués-Bravo, D., Hortal, J., Borges, A.V.P., Adsersen, H., Fernández-Palacios, M., Araújo, M.B. and Whittaker, R.J. (2008) Measurements of area and the (island) species-area relationship: new directions for an old pattern. Oikos, 117(10): 1555-1559. Whittaker, R.J. (2008) Journal review and gender equality: a critical comment on Budden et al. Trends in Ecology and Evolution, 23(9): 478-479. Whittaker, R.J., Triantis, K.A. and Ladle, R.J. (2008) A general dynamic theory of oceanic island biogeography. Journal of Biogeography, 35(6): 977-994. (Designated as a Highly cited paper by ESI/WoK, June 2014). Liu, C., Whittaker, R.J., Ma, K. and Malcolm, J.R. (2007) Unifying and distinguishing diversity ordering methods for comparing communities. Population Ecology, 49(2): 89-100. Ugland, K.I., Lambshead, P.J.D., McGill, B., Gray, J.S., O'Dea, N., Ladle, R.J. and Whittaker, R.J. (2007) Modelling dimensionality in species abundance distributions: description and evaluation of the Gambin model. Evolutionary Ecology Research, 9(2): 313-324. Whittaker, R.J., Ladle, R.J., Araújo, M.B., Fernández-Palacios, J.M., Delgado, J.D. and Arevalo, J.R. (2007) The island immaturity - speciation pulse model of island evolution: an alternative to the 'diversity begets diversity' model. Ecography, 30(3): 321-327. Whittaker, R.J., Nogués-Bravo, D. and Araújo, M.B. (2007) Geographic gradients of species richness: a test of the water-energy conjecture of Hawkins et al. (2003) Using European data for five taxa. Global Ecology and Biogeography, 16(1): 76-89. Henderson, S., Dawson, T.P. and Whittaker, R.J. (2006) Progress in invasive plants research. Progress in Physical Geography, 30(1): 25-46. O'Dea, N. and Whittaker, R.J. (2006) How resilient are Andean montane forest bird communities to habitat degredation? Biodiversity and Conservation, 16(4): 1131-1159. O'Dea, N., Araújo, M.B. and Whittaker, R.J. (2006) How well do Important Bird Areas represent species and minimize conservation conflict in the tropical Andes? Diversity and Distributions, 12(2): 205-214. O'Dea, N., Whittaker, R.J. and Ugland, K.I. (2006) Using spatial heterogeneity to extrapolate species richness: a new method tested on Ecuadorian cloud forest birds. Journal of Applied Ecology, 43(1): 189-198. Whittaker, R.J. (2006) Island species-energy theory. Journal of Biogeography, 33(1): 11-12. Field, R., O'Brien, E.M. and Whittaker, R.J. (2005) Global models for predicting woody plant richness from climate: development and evaluation. Ecology, 86(9): 2263-2277. Ingram, J.C., Whittaker, R.J. and Dawson, T.P. (2005) Tree structure and diversity in human-impacted littoral forests, Madagascar. Environmental Management, 35(6): 779-798. Ladle, R.J., Jepson, P. and Whittaker, R.J. (2005) Scientists and the media: the struggle for legitimacy in climate change and conservation science. Interdisciplinary Science Reviews, 30: 231-240. Watson, J.E.M., Whittaker, R.J. and Freudenberger, D. (2005) Bird community responses to habitat fragmentation: how consistent are they across landscapes? Journal of Biogeography, 32(8): 1353-1370. Ingram, J.C., Dawson, T.P. and Whittaker, R.J. (2004) Mapping tropical forest structure in southeastern Madagascar using remote sensing and artificial neural networks. Remote Sensing of Environment, 94(4): 491-507. Ladle, R., Jepson, P., Araújo, M.B. and Whittaker, R.J. (2004) Dangers of crying wolf over risk of extinctions. Nature, 428(799). Supplementary Material. O'Dea, N., Watson, J.E.M. and Whittaker, R.J. (2004) Rapid assessment in conservation research: a critique of avifaunal assessment techniques illustrated by Ecuadorian and Madagascan case study data. Diversity and Distributions, 10: 55-63. Sperling, F., Washington, R. and Whittaker, R.J. (2004) Future climate of the subtropical North Atlantic: implications for the cloud forests of Tenerife. Climatic Change, 65(1): 103-123. Thuiller, W., Araújo, M.B., Pearson, R.G., Whittaker, R.J., Brotons, L. and Lavorel, S. (2004) Uncertainty in predictions of extinction risk. Nature, 430. Watson, J.E.M., Whittaker, R.J. and Dawson, T.P. (2004) Avifaunal responses to habitat fragmentation in the threatened littoral forests of south-eastern Madagascar. Journal of Biogeography, 31(11): 1791-1807. Watson, J.M., Whittaker, R.J. and Dawson, T.P. (2004) Habitat structure and proximity to forest edge affect the abundance and distribution of forest-dependent birds in tropical coastal forests of southeastern Madagascar., 120(3): 311-327. Whittaker, R.J. (2004) Dynamic hypotheses of richness on islands and continents. : 211-231. Whittaker, R.J. (2004) The importance of islands. Chapter and section introduction..
Whittaker, R.J. (2004) The island biogeography of a long-running natural experiment: Krakatau, Indonesia. : 57-59. Henderson, S.J. and Whittaker, R.J. (2003) Islands..
Sharp, B. and Whittaker, R.J. (2003) The irreversible cattle-driven transformation of a seasonally flooded Australian savanna. Journal of Biogeography, 30(5): 783-802. Whittaker, R.J. (2003) Plant population patterns in a glacier foreland succession: pioneer herbs and later-colonizing shrubs. Ecography, 16(2): 117-136. Whittaker, R.J. and Heegaard, E. (2003) What is the observed relationship between species richness and productivity: comment. Ecology, 84(12): 3384-3390. Whittaker, R.J. and Sax, D. (2003) A 21st century Pangea? The emergence of a new international forum for Biogeographers. Journal of Biogeography, 30(3): 315-317. Bush, M.B. and Whittaker, R.J. (2002) Editorial: climate change and conservation special issue. Global Ecology and Biogeography, 11(6): 433. Jepson, P. and Whittaker, R.J. (2002) Ecoregions in context: a critique with special reference to Indonesia. Conservation Biology, 16(1): 42-57. Jepson, P. and Whittaker, R.J. (2002) Histories of Protected Areas: internationalism of conservationist values and their adoption in the Netherlands Indies (Indonesia). Environment and History, 8(2): 129-172. Willis, K.J. and Whittaker, R.J. (2002) Species diversity - scale matters. Science, 295: 1245-1248. Whittaker, R.J., Willis, K.J. and Field, R. (2001) Scale and species richness: towards a general, hierarchical theory of species diversity. Journal of Biogeography, 28(4): 453-470. O'Brien, E.M., Field, R. and Whittaker, R.J. (2000) Climatic gradients in woody plant (tree and shrub) diversity: water-energy dynamics, residual variation and topography. Oikos, 89: 588-600. Whittaker, R.J. (2000) Scale, succession and complexity in island biogeography: are we asking the right questions? Global Ecology and Biogeography, 9(1): 75-85. Whittaker, R.J. and Field, R. (2000) Tree species richness modelling: an approach of global applicability? Oikos, 89: 399-402. Whittaker, R.J., Field, R. and Partomihardjo, T. (2000) How to go extinct: lessons from the lost plants of Krakatau. Journal of Biogeography, 27: 1049-1064. Willis, K.J. and Whittaker, R.J. (2000) The refugial debate. Science, 287: 1406-1407. Shilton, L.A., Altringham, J.D., Compton, S.D. and Whittaker, R.J. (1999) Old World fruit bats can be long–distance seed dispersers through extended retention of viable seeds in the gut. Proceedings of the Royal Society of London B: Biological Sciences, 266(1416). Shilton, L.A., Altringham, J.D., Compton, S.G. and Whittaker, R.J. (1999) Old World fruit bats can be long-distance seed dispersers through extended retention of viable seeds in the gut. Proceedings of the Royal Society, London B, 266: 219-223. Whittaker, R.J and Cramer, W. (1999) Changing the Surface of Our Planet--Results from Studies of the Global Ecosystem. Global Ecology and Biogeography, 8(5): 363-365. Whittaker, R.J. (1999) Editorial: Global Ecology and Biogeography. Global Ecology and Biogeography, 1(2). Whittaker, R.J. (1999) Scaling, energetics and diversity. Nature, 401: 865-866. Whittaker, R.J. and Grainger, A. (1999) Introduction: Tropical Open Woodlands Special Issue. Global Ecology and Biogeography, 117(178). Whittaker, R.J., Partomihardjo, T. and Jones, S.H. (1999) Interesting times on Krakatau: stand dynamics in the 1990s. Philosophical Transactions of the Royal Society B, 354: 1857-1867. Mawdsley, N.A., Compton, S.G. and Whittaker, R.J. (1998) Population persistence, pollination mutualisms and figs in fragmented tropical landscapes. Conservation Biology, 12: 1416-1420. O'Brien, E.M., Whittaker, R.J. and Field, R. (1998) Climate and woody plant diversity in southern Africa: relationships at species, genus and family levels. Ecography, 21: 495-509. Schlesinger, W.H., Bruijnzeel, L.A., Bush, M.B., Klein, E.M., Mace, K.A., Raikes, J.A. and Whittaker, R.J. (1998) The biogeochemistry of phosphorous after the first century of soil development on Rakata Island, Krakatau, Indonesi. Biogeochemistry, 40(1): 37-55. Schmitt, S.F. and Whittaker, R.J. (1998) Disturbance and succession on the Krakatau Islands, Indonesia. Dynamics of Tropical Communities. British Ecological Society Symposium, 37: 515-548. Whittaker, R.J. and Field, C.B. (1998) Special issue. Biodiversity and function of mangrove ecosystems. Global Ecology and Biogeography Letters 7. Whittaker, R.J., Schmitt, S.F., Jones, S.H., Partomihardjo, T. and Bush, M.B. (1998) Stand biomass and tree mortality from permanent forest plots on Krakatau, 1989-1995. Biotropica, 30: 519-529. Brown, A.G., Harper, D.M. and Whittaker, R.J. (1997) Floodplain forests: structure, functioning and management. GLOBAL ECOLOGY AND BIOGEOGRAPHY LETTERS, 6(3-4): 167. Petch, J.R. and Whittaker, R.J. (1997) Chronology of the Austerdalen glacier foresland, Norway. Zeitschrift für Geomorphologie, 41: 309-317. Whittaker, R.J. (1997) Krakatau: the destruction and reassembly of an island ecosystem. Trends in Ecology and Evolution, 12(1): 41. Whittaker, R.J. (1997) Real island biogeography. Trends in Ecology and Evolution, 1(12): 41. Whittaker, R.J., Jones, S.H. and Partomihardjo, T. (1997) The re-building of an isolated rain forest assemblage: how disharmonic is the flora of Krakatau? Biodiversity and Conservation, 6(12): 1671-1696. Whittaker, R.J. (1996) Ecological Lessons from Oceanic Islands. Biodiversity Letters, 3(2): 67-68. Whittaker, R.J. (1996) Islands: Biological diversity and ecosystem function. Biodiversity Letters, 3(2). Bush, M.B., Whittaker, R.J. and Partomihardjo, T. (1995) Colonization and succession on Krakatau: an analysis of the guild of vining plants. Biotropica, 27: 355-372. Whittaker, R.J. (1995) Disturbed island ecology. Trends in Ecology and Evolution, 10: 412-425. Wilson, J.B. and Whittaker, R.J. (1995) Assembly rules demonstrated in a salt marsh community. Journal of Ecology, 83: 801-807. Wilson, J.B. and Whittaker, R.J. (1995) Surface and buried seed banks from Krakatau, Indonesia: implications for the sterilization hypothesis. Biotropica, 27: 346-354. Whittaker, R.J. and Bush, M.B. (1994) Anak Krakatau and old Krakatau - a further comment. Geojournal, 33: 491-492. Whittaker, R.J. and Jones, S.H. (1994) Structure in re-building insular ecosystems: an empirically derived model. Oikos, 69: 524-530. Whittaker, R.J. and Jones, S.H. (1994) The role of frugivorous bats and birds in the rebuilding of a tropical forest ecosystem, Krakatau, Indonesia. Journal of Biogeography, 21: 689-702. Whittaker, R.J. and Turner, B.D. (1994) Dispersal, fruit utilization and seed predation of Dysoxylum gaudichaudianum in early-successional rain forest, Krakatau, Indonesia. Journal of Tropical Ecology, 10: 167-181. Bush, M.B. and Whittaker, R.J. (1993) Non-equilibration in island theory of Krakatau. Journal of Biogeography, 20: 453-458. Innes, J.L. and Whittaker, R.J. (1993) Relationships between the crown condition of Sitka and Norway spruce and the environment in Great Britain: an exploratory analysis. Journal of Applied Ecology, 30: 341-360. Bush, M.B., Whittaker, R.J. and Partomihardjo, T. (1992) Forest development on Rakata, Panjang and Sertung: contemporary dynamics (1979-1989). GeoJournal, 28(2): 185-199. Partomihardjo, T., Mirmanto, E. and Whittaker, R.J. (1992) Anak Krakatau's vegetation and flora circa 1991, with observations on a decade of development and change. Geojournal, 28: 23-248. Partomihardjo, T., Mirmanto, E., Riswan, S. and Whittaker, R.J. (1992) Ecology and distribution of Nibung (Oncosperma tigillarium) within the Krakatau Islands, Indonesia. Principes, 36: 7-17. Whittaker, R.J. (1992) Stochasticism and determinism in island ecology. Journal of Biogeography, 19: 587-591. Whittaker, R.J., Bush, M.B., Partomihardjo, T., Asquith, N.M. and Richards, K. (1992) Ecological aspects of plant colonisation of the Krakatau Islands. Geojournal, 28(2): 201-211. Whittaker, R.J., Walden, J. and Hill, J. (1992) Post-1883 ash fall on Panjang and Sertung and its ecological impact. Geojournal, 28: 153-171. Bush, M.B. and Whittaker, R.J. (1991) A revision of estimates of bird colonization on Krakatau. Journal of Biogeography, 18(585). Bush, M.B. and Whittaker, R.J. (1991) Krakatau: Colonization patterns and hierarchies. Journal of Biogeography, 18: 341-356. Walden, J., Whittaker, R.J. and Hill, J. (1991) The use of mineral magnetic analyses as an aid in investigating the recent volcanic disturbance history of the Krakatau Islands, Indonesia. The Holocene, 1: 262-268. Whittaker, R.J. (1991) Small-scale pattern: an evaluation of techniques with an application to salt-marsh vegetation. Vegetatio, 94: 81-94. Whittaker, R.J. (1991) The vegetation of the Storbreen gletschervorfeld, Jotunheimen, Norway. IV. Short term vegetation change. Journal of Biogeography, 18: 41-52. Whittaker, R.J. (1989) The vegetation of the Storbreen gletschervorfeld, Jotunheimen, Norway. III. Vegetation-environment relationships. Journal of Biogeography, 16: 413-434. Whittaker, R.J. and Richards, K. (1989) A revised vegetation map of Krakatau. Krakatau research project, 16(20). Whittaker, R.J., Bush, M.B. and Richards, K. (1989) Plant recolonization and vegetation succession on the Krakatau Islands, Indonesia. Ecological Monographs, 59: 59-123. Whittaker, R.J., Partomihardjo, T. and Asquith, N.M. (1989) Floristic survey of Krakatau and Sebesi. Krakatau research project, 21(26). Whittaker, R.J. (1987) An application of detrended correspondence analysis and non-metric multidimensional scaling to the identification and analysis of environmental factor complexes and vegetation structures. The Journal of Ecology: 363-376. Whittaker, R.J., Bush, M.B. and Richards, K. (1987) Vegetation succession on the Storbreen glacier foreland, Jotunheimen, Norway: a review. Arctic and Alpine Research, 19: 385-395. Wiggins, J., Hartley, R.P., Higgins, M.J. and Whittaker, R.J. (1987) Computing aspects of a large geographic information system for the European community. International Journal of Geographical Information Systems, 1: 77-87. Barker, N., Flenley, J.R., Forster, M., Newsome, D., Richards, K., Wallwork, V., Whittaker, R.J. and Wiriadinata, H. (1985) A re-survey of the flora of the island of Krakatoa. National Geographic Society Research Reports, 20. Whittaker, R.J., Richards, K., Wiriadinata, H. and Flenley, J.R. (1984) Krakatau 1883-1983: a biogeographical assessment. Progress in Physical Geography, 8: 61-81. Fuller, R.A., Ladle, R.J., Whittaker, R.J. and Possingham, H.P. (2011) Planning for Persistence in a Changing World. Chapter 7 in, Ladle, R.J. and Whittaker, R.J. (eds.) Conservation Biogeography. Wiley-Blackwell, Oxford. pp. 161-189. ISBN: 978-1-4443-3503-3. Jepson, P., Whittaker, R.J. and Lourie, S.A. (2011) The Shaping of the Global Protected Area Estate. Chapter 5 in, Ladle, R.J. and Whittaker, R.J (eds.) Conservation Biogeography. Wiley-Blackwell, Oxford. pp. 93-135. ISBN: 978-1-4443-3503-3. Ladle, R.J. and Whittaker, R.J. (2011) Prospects and Challenges. Chapter 10 in, Ladle, R.J. and Whittaker, R.J. (eds.) Conservation Biogeography. Wiley-Blackwell, Oxford. pp. 245-258. ISBN: 978-1-4443-3503-3. Riddle, B.R., Ladle, R.J., Lourie, S.A. and Whittaker, R.J. (2011) Basic Biogeography: Estimating Biodiversity and Mapping Nature. Chapter 4 in, Ladle, R.J. and Whittaker, R.J. (eds.) Conservation Biogeography. Wiley-Blackwell, Oxford. pp. 45-92. ISBN: 978-1-4443-3503-3. Whittaker, R.J. and Ladle, R.J. (2011) The Roots of Conservation Biogeography. Chapter 1 in, Ladle, R.J. and Whittaker, R.J. (eds.) Conservation Biogeography. Wiley-Blackwell, Oxford. pp. 1-12. ISBN: 978-1-4443-3503-3. Shilton, L.A. and Whittaker, R.J. (2010) The role of pteropodid bats (Megachiroptera) in re-establishing tropical forests on Krakatau. In, Fleming, T.H. and Racey, P.A. (eds.) Island Bats: Ecology, Evolution and Conservation. University of Chicago Press, Chicago. pp. 176-215. ISBN: 9780226253305. Triantis, K., Borges, P.A.V., Hortal, J. and Whittaker, R.J. (2010) The Macaronesian province: patterns of species richness and endemism of arthropods. In, Serrano, A.R.M., Borges, P.A.V., Boieiro, M. and P. Oromí (eds.) Terrestrial arthropods of Macronesia - Biodiversity, Ecology and Evolution. Sociedade Portuguesa de Entomologia. pp. 45-64. Whittaker, R.J., Triantis, K.A. and Ladle, R.J. (2010) A general dynamic theory of oceanic island biogeography: extending the MacArthur-Wilson theory to accommodate the rise and fall of volcanic islands. In, Losos, J.B. and Ricklefs, R.E. (eds.) The Theory of Island Biogeography Revisited. Princeton University Press. pp. 88-115. ISBN: 9781400831920. Triantis, K.A. and Whittaker, R.J. (2009) Radiation zone. In, Gillespie, R. and D. Clague (eds.) Encyclopedia of Islands. University of California Press. pp. 772-775. Henderson, S.J. and Whittaker, R.J. (2003) Islands, version 1.0. In, Nature Encyclopedia of Life Sciences. Nature Publishing Group. Whittaker, R.J., Willis, K.J. and Field, R. (2003) Climatic-energetic explanations of diversity: a macroscopic perspective. In, Blackburn, T.M. and Gaston, K.J. (eds.) Macroecology: concepts and consequences. British Ecological Society Symposia Series, Blackwell Publishing, Oxford. pp. 107-129. Whittaker, R.J. (2002) Island Biogeography. In, M. Pagel et al. (ed.) Encyclopedia of Evolution. Oxford University Press, Oxford. Whittaker, R.J. (2000) Krakatau. In, M.C. MacCracken and J.S. Perry (eds.) Encyclopedia of Global Environmental Change. John Wiley, Chichester. Whittaker, R.J. and Bush, M.B. (1993) Dispersal and establishment of tropical forest assemblages, Krakatau, Indonesia. Chapter 12 in, J. Miles and D.W.H. Walton (eds.) Primary Succession on Land. . pp. 147-160. Special publication series of the British Ecological Society. Whittaker, R.J. (1992) Biogeography and ecology. In, Rogers, A., Goudie, A.S. and Viles, H. (eds.) The Student's Companion to Geography. Oxford: Basil Blackwell. pp. 41-48. Whittaker, R.J. and Bush, M.B. (1993) Anak Krakatau and old Krakatau: a reply. GeoJournal, 29(4): 417-420. Whittaker, R.J. (1991) Holocene book reviews: Processes of vegetation change. The Holocene, 1(2) London: Unwin Hyman: 186-187. Whittaker, R.J. (1985) Plant community and plant population studies of a successional sequence: Storbreen glacier foreland, Jotunheimen, Norway. PhD thesis, University College Cardiff.